The Traanskei Coalition’s greatest weapon is the Q bomb, and after years of failure, the Democracy has come up with a defense against it. The problem is that they killed most of the team that created it. The sole survivor, Edgar Nmumba, was kidnapped by the Coalition. Only Nmumba can duplicate the work fast enough to prevent the loss of another dozen populated planets. 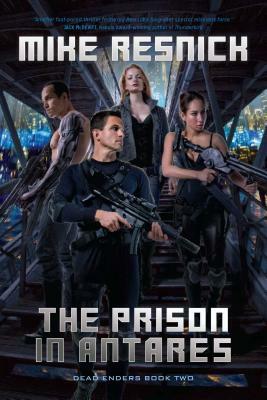 Nathan Pretorius and his team of Dead Enders will require all their skills and cunning to rescue him, sane and in one piece, from the Coalition’s best-hidden and best-guarded prison, somewhere in the Antares sector. But in a game of cross and double-cross, can they find him before it's too late?